Jerina has a hearty laugh that fills even the darkest of rooms with joy. She sees the bright side in life and makes the most of her abilities that are limited due to being born with Cerebral Palsy. Her disorder affects her movements including muscle control and coordination primarily on her right side. 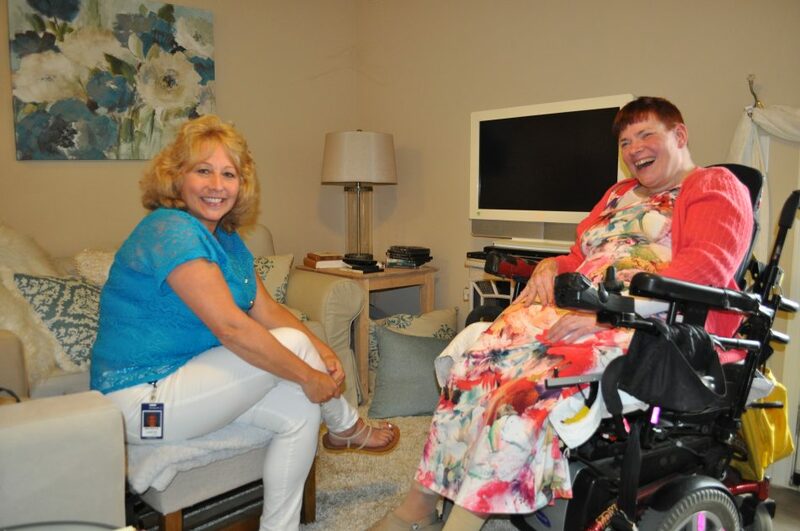 Over the years Jerina learned ways to make a difference including work as a receptionist and advocate for people with disabilities. Jerina’s efforts and zest for adventure led to her being named the 2003 Ms. Wheelchair New York. Unfortunately, the support structure and access to cultural outings wasn’t as easy for Jerina to find in Wake County. “I had limited abilities to change my circumstances and started feeling depressed,” said Jerina. A social worker suggested that Jerina should reach out to The Center for Volunteer Caregiving to get help with shopping and a friendly visitor. Jerina was matched with a volunteer named Michelle who works at Genworth. The two quickly became friends. “Michelle has been a blessing to me,” said Jerina. “We have a triangle of places we visit. First the library to get books, then Sam’s club and finally we head to Sheetz for hotdogs,” said Michelle. Listen in as Jerina and Michelle share more of their story of friendship and laughter. In 2007, United Cerebral Palsy launched the “life Without Limits” project to create possibilities for people with disabilities. “At UCP, we believe in a life without limits, and with nearly 100 affiliates, we work to advance the independence, productivity and full citizenship of people with a spectrum of disabilities by supporting more than 176,000 children and adults every day — one person at a time, one family at a time. 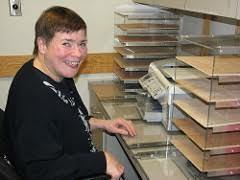 Our work centers on the inclusion in every facet of society of individuals with disabilities. Through the programs, resources and dedication of our affiliates, individuals across the globe are gaining independence and forging their own path,” Stephen Bennett, President and Chief Executive Officer, United Cerebral Palsy. Jerina is still looking for career opportunities and helping The Center get the word out about volunteering. Picture courtesy of UCP of Suffolk.